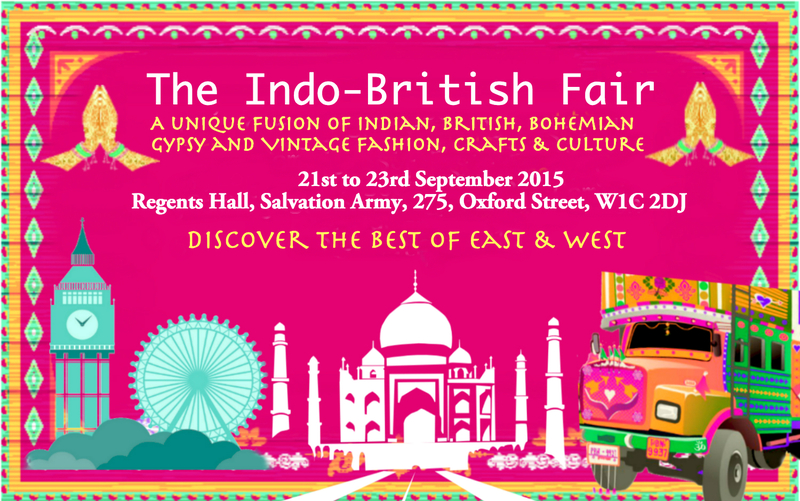 The Indo-British Fair is coming to London between 21st-23rd September 2015 at Regents Hall on Oxford Street. The fair will host over 35 curated designers from Britain and Asia and showcase the best of fashion, crafts and culture from the east and west to Londoners. 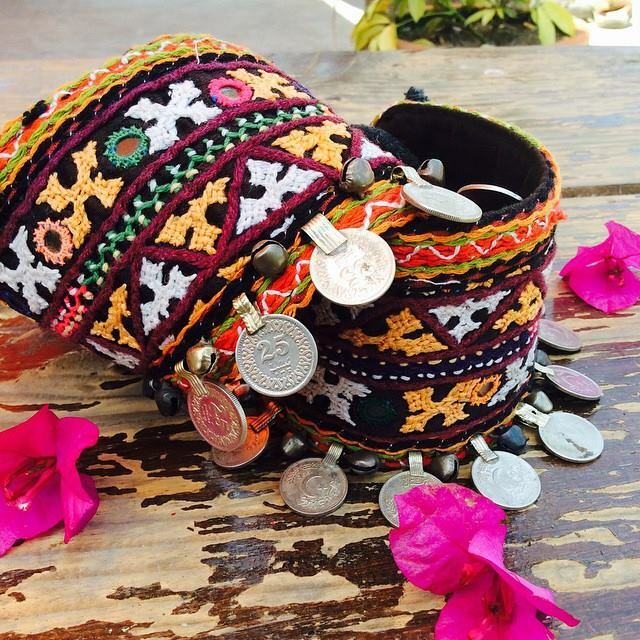 The fair will offer an interesting and innovative mix of textiles, fashion, jewellery, art, and handicrafts. Plus, the event will also have activity sessions like an Indo-British Fashion Studio, British tea sessions, Henna making sessions, Japanese Ikebana demo, block printing and Bindi art. Part of the proceeds from this event will be going to the India based NGO SHE, which focusses on looking after female child education and women empowerment. The fair’s participating designers include Sanapana (gypsy bags & mandala bed sheets from India), SJO Accessories (handcrafted home wares and jewellery from Sindh), Ornately (hand painted lanterns), A shine to it (English hair accessories), Vintage Amelia (hand dyed art apparels from Sri Lanka), Sohavi (jewellery inspired by sacred symbolism), LULOAH (belly dancing inspired clothing), British Bohemian (Bohemian jewellery and accessories), Maya crafts (hand-woven Yak shawls), CUCUR (Bohemian & ethnic cushions and pouffes) and many more! The event is organized by Travelista, they have previously hosted a a number of cultural, travel and lifestyle fairs and festivals in New Delhi, Dubai and London. Immerse yourself in a multicultural explosion of colours and cultures at this unique Indo-British fair. This will be the first ever Indo-British themed fair focussing on the best of east and west, which makes it certainly even more exciting! Find full details about the event here! Find out more information here and to keep updated on the event click here.